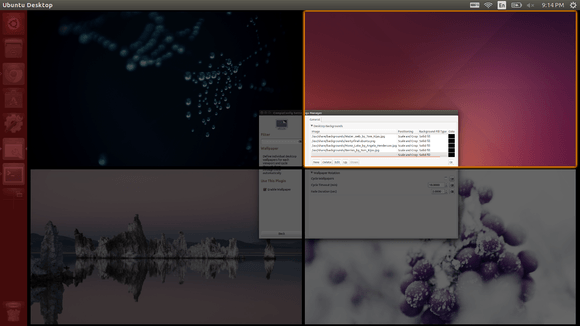 This simple tutorial is going to show you how to set a different desktop wallpaper for each workspace in Ubuntu 14.04 Unity. Only have one desktop? Well, you may first enable workspaces by going to System Settings -> Appearance -> Behavior and check the box as the below picture shows. Now click the new icon on Unity Launcher and you’re able to switch between workspaces. The package “compiz-plugins-extra” contains the plugin Wallpaper which allows you to assign multiple wallpapers to your workspaces, with the added bonuses of proper transparency handling and desktop icons (with patches to Nautilus, etc). 2. Open CCSM (CompizConfig Settings Manager) from Unity Dash. Enable Wallpaper plugin and click to go into its settings page. 3. Click the New button and add some wallpapers. Enable Images plugin when it prompts. To revert back, just disable the plugin or read how to reset Unity and Compiz Settings. 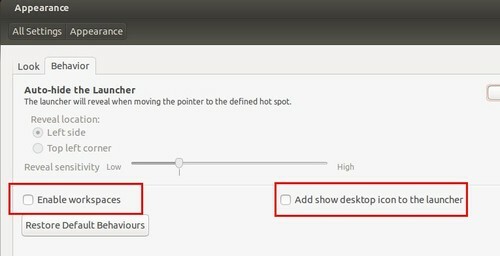 This quick tip is going to show beginners how to enable workspaces and add ‘show desktop’ shortcut icon on Unity Launcher in Ubuntu 13.10 Saucy. Ubuntu 13.10 Saucy Salamander final is to be released on October 17th. Now it’s in beta 2. 1.) Go to Unity Dash. 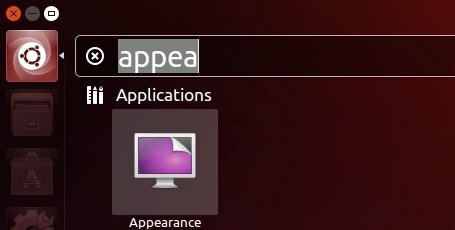 Search for and open Appearance utility. 2.) When it opens, navigate to Behavior tab. Check the box which says “Enable Workspaces”, then you’ll get a shortcut icon on Unity Launcher which provides the ability to show and switch between workspaces. As well as that, check the box “Add show desktop icon to the launcher”. 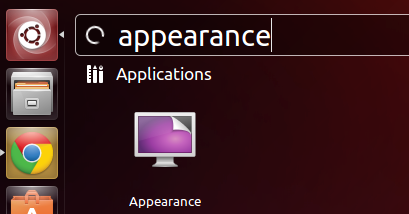 Ubuntu 13.04 Raring comes with workspaces disabled by default. So you’re unable to switch between workspaces via hot-keys or shortcut icon on Unity Launcher. To enable this feature, search and open Appearance in Unity Dash. Then you can easily switch on or off the wordspaces as well as the shortcut keys at Behaviour tab. After enabled this feature, use Ctrl+Alt+ Up (Down, Left, Right) key combination to switch between wordspaces. Or click the “Workspace Switcher” icon on Unity Launcher to view workspaces.